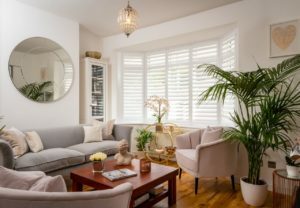 For Plantation Shutters Wimborne, look no further than Just Shutters! Wimborne boast a many beautiful homes, and therefore deserves to be paired with bespoke and stylish interiors. Therefore, our shutter experts are on hand to carry out a home design visit and consultation to achieve your vision. We possess the finest range and broadest choice of beautiful window shutters. We offer quality shutters, industry leading service and great value guaranteed. Call your local Plantation Shutters Wimborne experts on 01202 240769 for more information. Don’t forget to get inspired beforehand by browsing our photo galleries. – Being entirely bespoke to your style – our experts can even colour match to your interiors. – Increasing energy efficiency by adding an insulating layer to your home. – Being incredibly low maintenance, hard wearing and also easy to clean. – Reducing allergens, they don’t hold spores, moulds or mildews like fabrics and untreated wood. – Being able to resist humidity, therefore making them perfect for your bathroom or kitchen. – Being a fixture, and as a result adding value to your home. Call our team of experts today for more information and to arrange your free home visit. Our Plantation Shutters Wimborne experts will show you various samples. We will also work with you to achieve a bespoke package that truly suits your interior. Call 01202 240769, request a brochure or get an online shutter quote estimate now. We are incredibly proud of the testimonials we receive from our fantastic customers. Therefore we would love for you to read through some of the positive feedback we have received listed below. You can view the many more reviews from our customers on Checkatrade were we are rated as an incredible 9.9/10!